Figured i'd go ahead and throw-up a build thread for my new daily. I'm in the process of moving some pics over to my Flickr account so i'll updated the thread with pics later. Anywho, here's the skinny on the new car. I'll update this thread more soon once i'm not at work, so stay tuned! Last edited by OSSHWA; 10-18-2018 at 09:14 AM. I love these things. Pumped to see what you do with it. 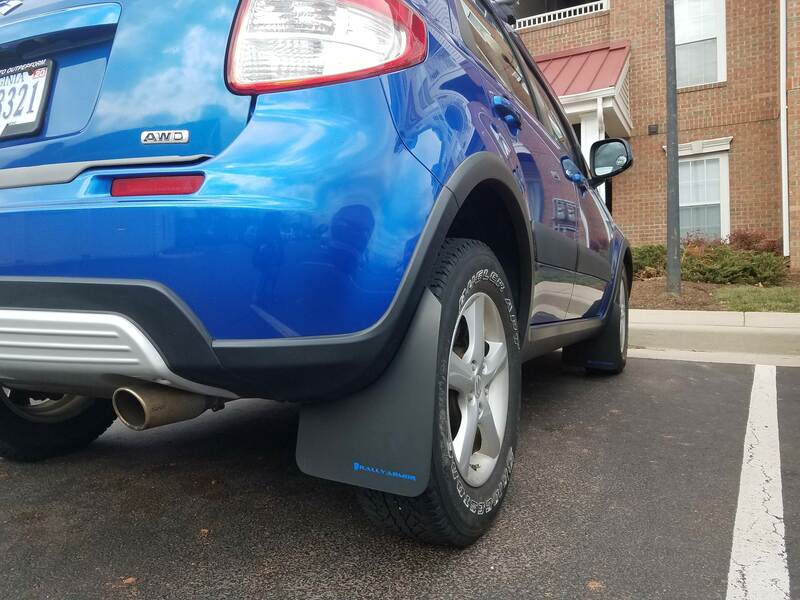 Universal Rally Armor mudflaps (black w/ blue log) custom mounted by @novaspeedshop. 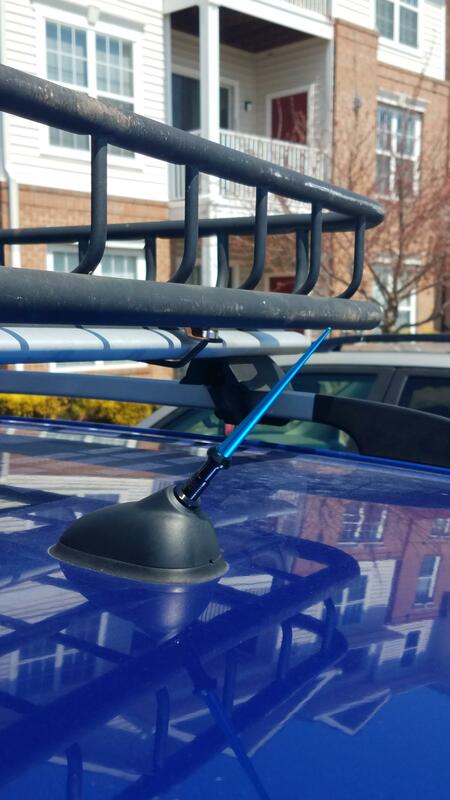 They fabbed up some custom brackets for me and they turned out great! 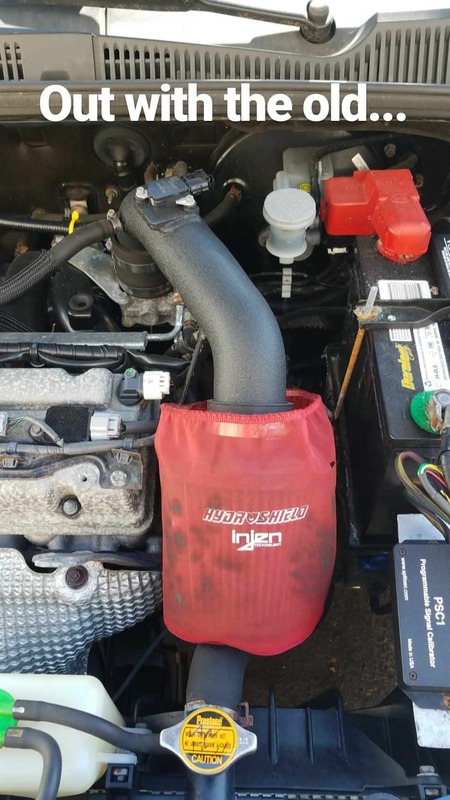 ....for a new K&N Drycharger pre-filter. 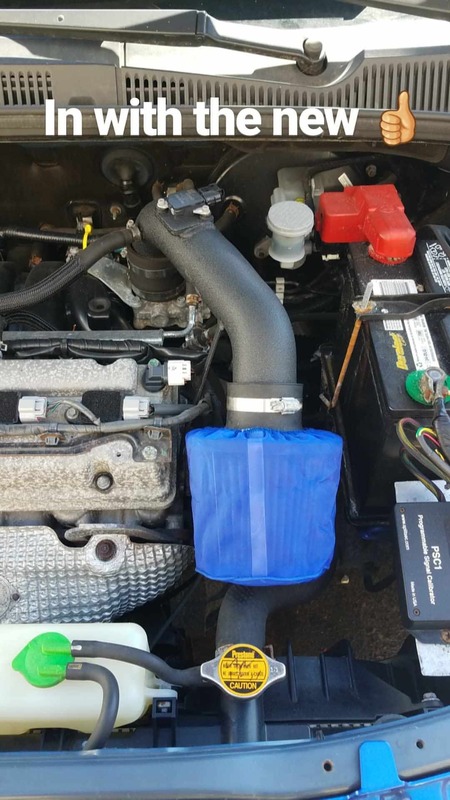 Since the filter that the RRM intake uses is K&N I figured i'd get a K&N pre-filter so it'd be an exact fit. 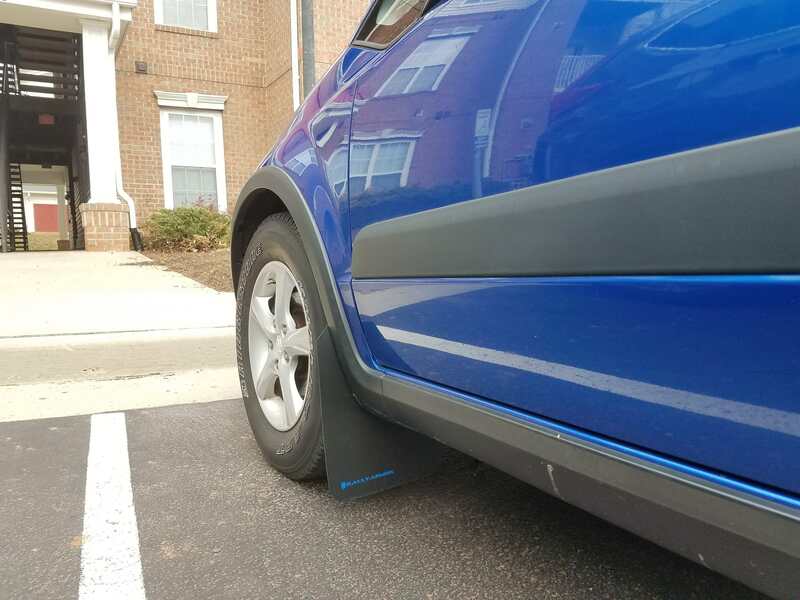 Also went with blue this time around so it'd match the car a bit better. 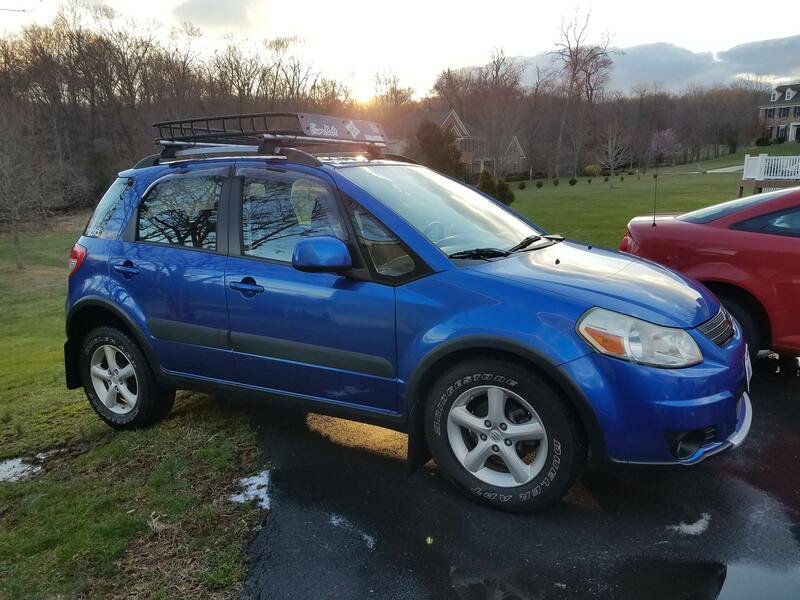 Future plans include restoring the headlights, painting my valve cover wrinkle black, wiring up my RRM piggyback and doing custom front lift spacers/plates since the Rocky Road Outfitters lift spacers seemingly wear out the front struts pretty quickly. That's the reason they were removed from this car by the previous owner. 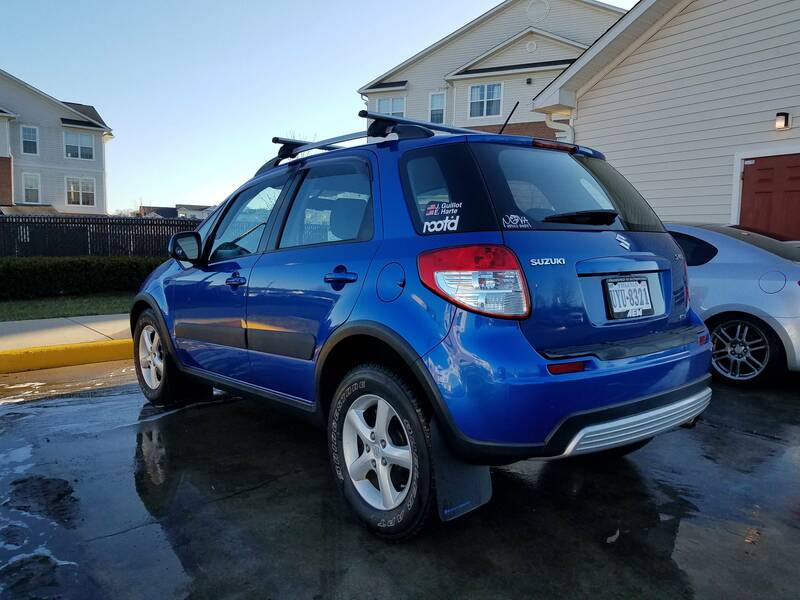 Here's a few new/better pictures. I also got some custom rally driver/navigator decals made by Red Rock decals to tie into the rally theme. Oh and I just bought a Moddiction anvil textured black shift knob this morning too. 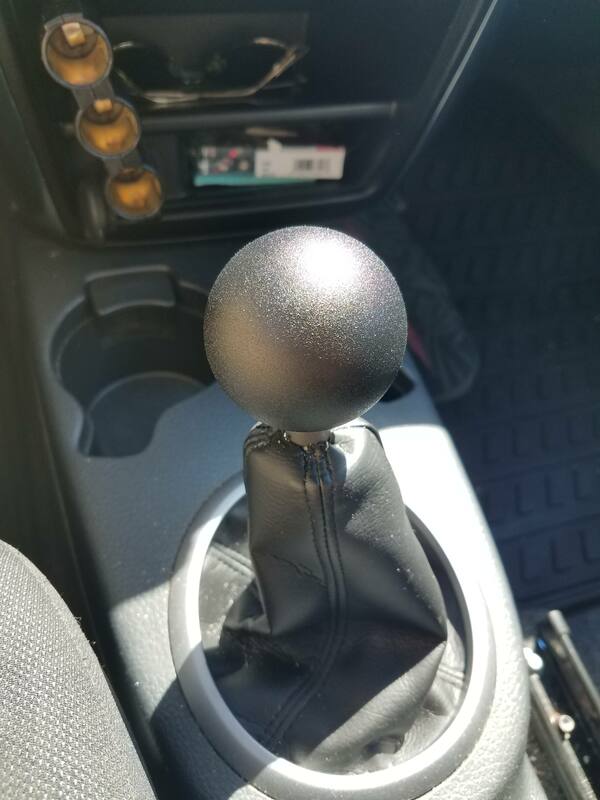 I ran a gold anodized titanium Moddiction knob in my old Miata (R.I.P.) 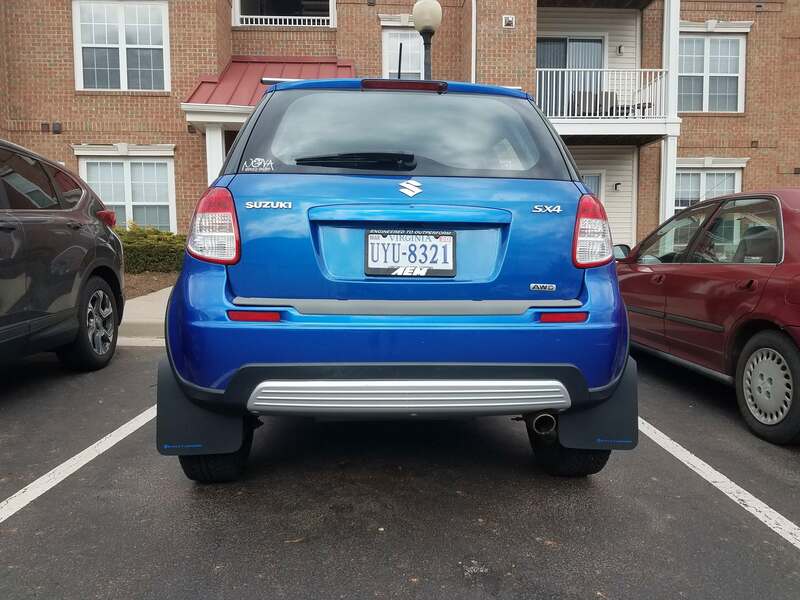 and loved it so when I saw they were having a sale I went ahead and scooped one up for the SX4! Went with textured black so it'll match my intake and my valve cover once I paint it soon. Here's the shift knob installed on an S2000. 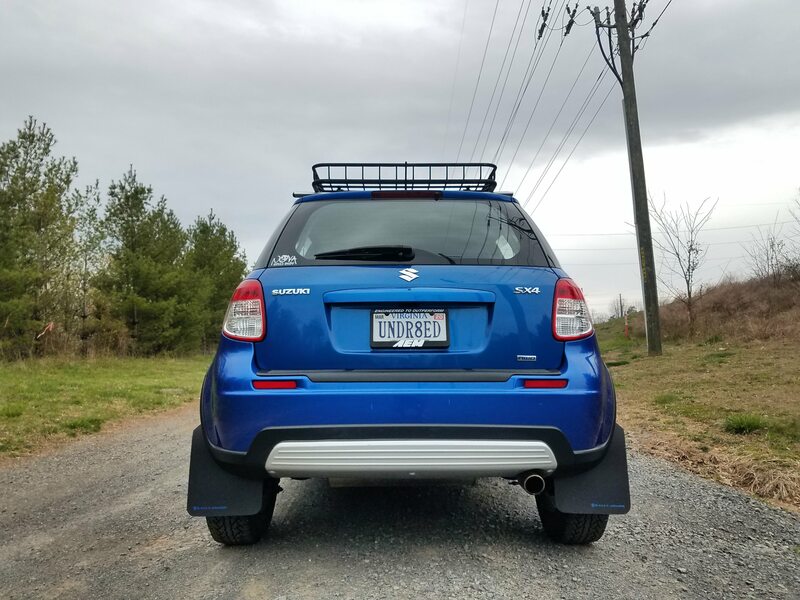 And the new pics with a better look at the mudflaps + the new rally decals. Haha awesome. It's strange that i've grown to love this car so much and so quickly. It still puts a smile on my face every time I drive it. And with this nasty weather we are supposed to get over the next few days, i'm sure i'll love and appreciate it even more. Also, I recently found out that the SX4 was designed by Giorgetto Giugiaro, the same man who designed the Lamborghini Miura. Pretty interesting stuff! 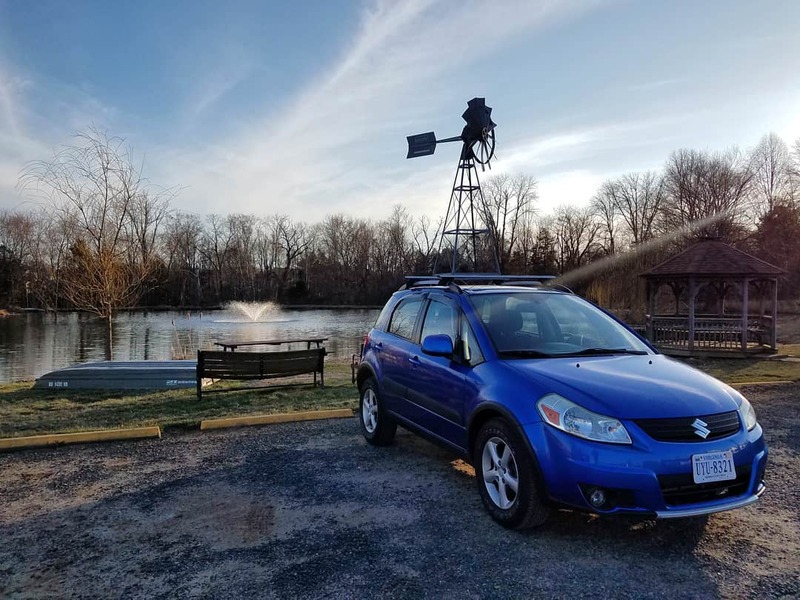 Few small updates on the SX4 from this weekend. 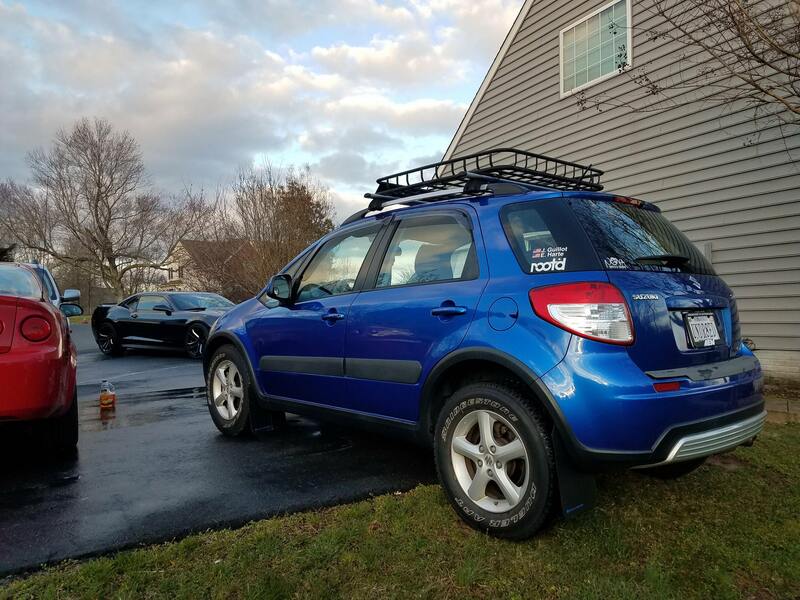 -Bought a used roof-basket from my buddy! -Also bought a Moddiction Anvil shift knob in their textured black finish. This is actually the same knob I ran in my old Miata, just a different finish. It definitely makes shifting feel so much nicer since it's weighted and countersunk which makes it sit lower on the shifter itself. I also replaced my passenger side mirror since the housing was cracked and installed a new hood prop rod since the old one was warped/bent. Josh you going to put some rad offroad wheels on this !? 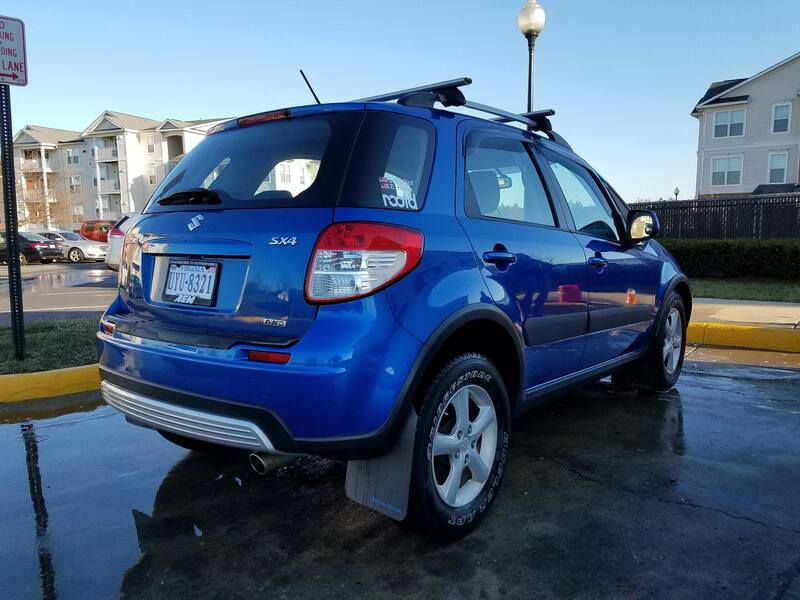 I'm planning to eventually buy a set of Sparco Terra's in bronze. 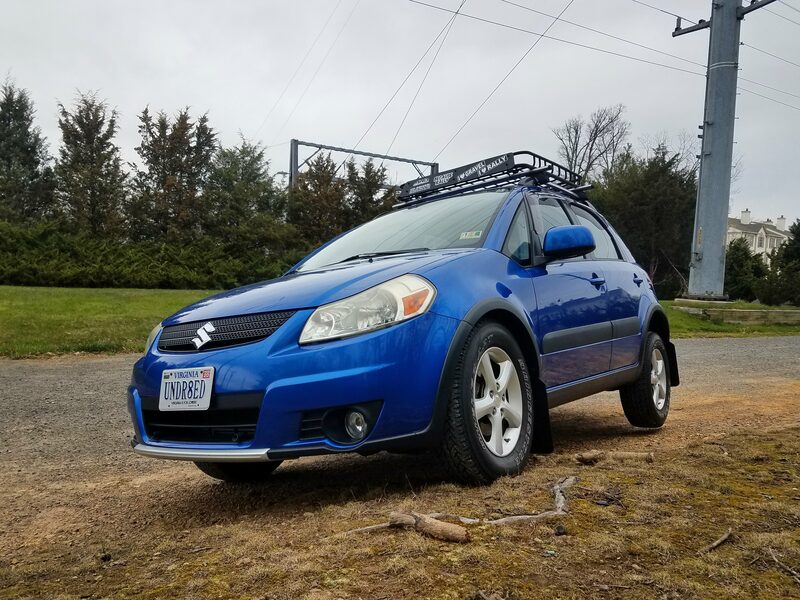 Did a little bit of DIY resto on the SX4 over the weekend. 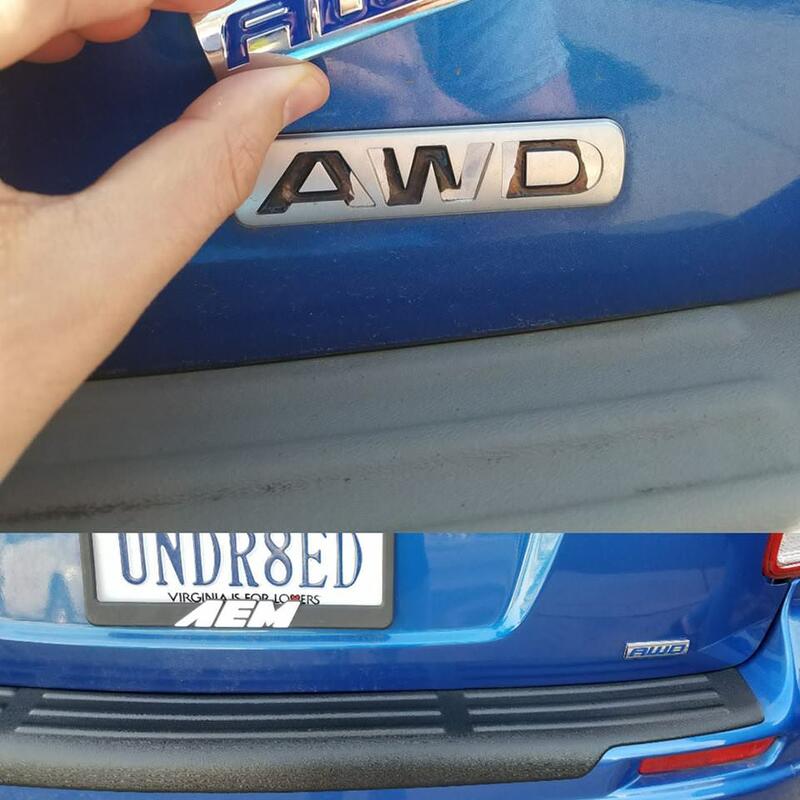 Replaced the haggard OEM AWD badge with a new AWD badge that has a blue inlay (found it on Amazon) and repainted the rear bumper guard with some Duplicolor black plastic trim paint. Turned out great! Yeah, the devil is in the details! Few updated pics. Went to this gravel service road that the local electric company uses that's down the street from me to snap a few pics. I had to run out to grab toilet paper so I thought why not....lol. Also, my lightsaber antenna from VMS Racing came in today. Obviously I went with blue for the color of the saber. I love it! 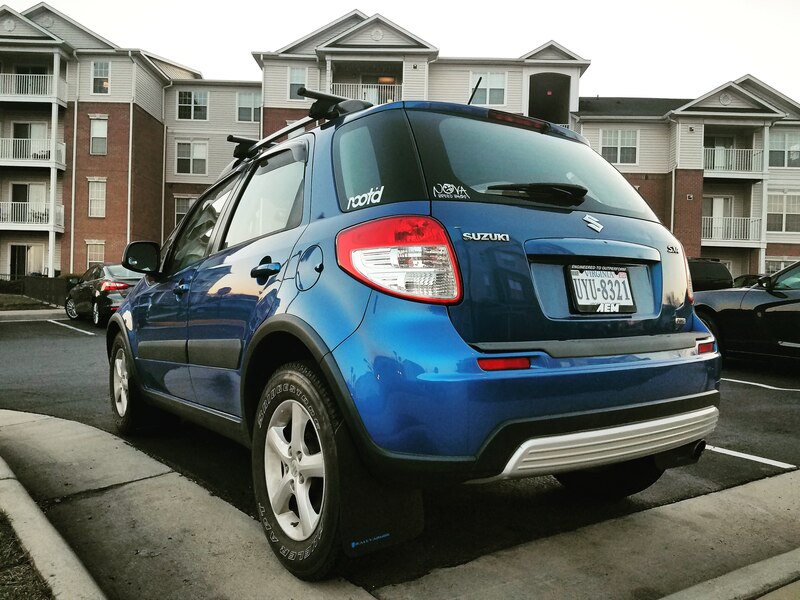 Oh and this also shows my re-sticker'd up fairing with the stickers I ordered from RallyGrafix.com. This is turning out awesome Josh. Thanks man! So far I love it. Next up will hopefully be wheels. I bloody love that Antena!